Media coverage of The Nursery Bird and Nook Sleep Systems. Find out who uses the Nook products. Read what The Nursery Bird has to say about life with baby and preparing for baby. This mattress ticks all of the boxes—organic, non-toxic, sustainable, breathable, and made from hypoallergenic materials. It also grows with your baby: One side is made primarily from coconut coir, making it firmer, which is ideal for infants, while the flip side is made from softer natural latex which is better for growing toddlers. Finally, the washable mattress cover comes in 12 cool colors, is water and stain resistant, hypoallergenic, and breathable—and best of all, doesn’t need to be covered with a sheet. There’s so much more to creating the perfect sleep sanctuary for your baby than a cot and block-out blinds. It’s about building a cosy environment, engaging daytime play and a great routine – because a happy, sleeping baby means better sleep for the whole family. We’ve hand-picked four brilliant products that can help your baby head happily to the land of nod. "Play is the chief vehicle for the development of imagination and intelligence, language, social skills and perceptual-motors abilities in infants and young children' - Frost (1992). So my question to you today is, do you have a little one who is currently at that age where they just love to have 'mat' time and play and explore?? Well across at The Nursery Bird, they have a terrific play package that your little one will just love! We're talking about a play package that is excellent quality and will last. The Package include 1 x Playmat and 1 x Playgym. You can choose the colour and toys you prefer. The Nook Toddler Pillow is the perfect pillow for any little first timer who is transitioning from a cot to bed. With a cover made from breathable organic cotton and an eco-friendly eucalyptus fill, your tot will have a safe space to lay his head and drift off into a comfortable sleep. The Niche feeding pillow’s squared design has extra surface space for extended use while lightweight organic Kapok tree shavings provide comfortable support and breathability. Not just for feeding support, the Niche pillow can be used as a prop seat for baby and side sleeper pillow for mum. With a cover made from materials including eucalyptus and organic cotton, it’s the eco choice. Today we focus on a serious subject matter - the importance of ensuring you have the correct cot mattress for your baby. Our friends across at certainly know a thing or two about this topic and so today we're pleased to have Milena speak with us about what to look for. Read more here. Across at The Nursery Bird you can find a terrific nursing pillow called the ‘Niche Feeding Pillow’ by Nook Sleep Systems. Finally you can feed your baby in comfort…the amazing Nook ‘Niche’ Feeding Pillow has arrived in Australia – be ready to be impressed! The Nursery Bird in the media covering what to pack in your hospital bag. Nook mom Kendra Wilkinson is on the cover of Mini Magazine and showing off her stylish nursery designed by NessaLee Baby! Kendra's nursery features a Pebble Pure in Daffodil in a custom Spot On Square crib. If the kids’ beanbags have seen better days and you’re looking for something a little more stylish for them to lounge around on, we’ve found the perfect solution! 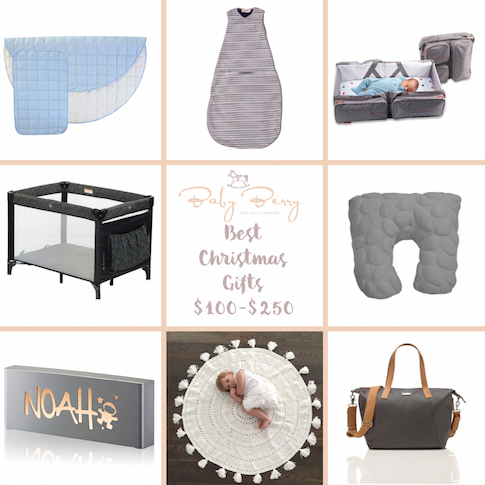 We adore Nook products, and have previously featured the Sleep Systems range, which is now available in Australia, and the gorgeous LilyPad playmat. Here is the latest offering from this rocking brand – the Nook Pebble Lounger. Who’s found a special nook in Beyonce’s nursery? One look at the Nook Pebble Pure mattress and you know this is something special. Coconut coir, a fibre extracted from coconut husk, is bathed in latex to maintain shape and durability and acts as a natural guard against microbes and other nasties. It is then used alongside 1 inch of natural talalay latex to create a dual-sided , breathable mattress for infants and toddlers. The importance of buying organic for your baby. Sisters Kourtney & Kim Kardashian have Nook's Pebble Pure Mattress in the nursery. North, on the other hand, sleeps in Nurseryworks’ clear acrylic Vetro crib, which is touted by many as a piece of art. Both girls also have a Nook Pebble Mattress, but what else do they have in common? The crib placement! The cousins’ cribs are both positioned off the walls. Penelope’s is in the center of the room and North’s is setback in front of a mirror.